DAY 81 1.9.13 Our girl still had a bad neck this morning, but we decided to get a move on and see how the day panned out. We had intended to go out to Lake Moondarra yesterday, and didn't make it. And so we hooked up and headed out to have a look this morning. It seems that Mount Isa Mining created the lake for water catchment, and set it up as a recreation area as well. It is really beautiful out there, despite the water level being at 35%. Then back into town and on the road to Cloncurry. 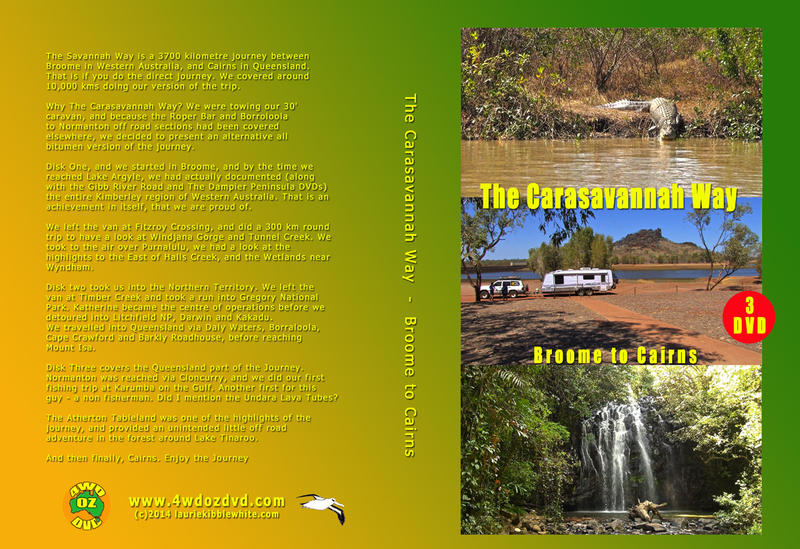 My aim was to get to Corella Dam, and maybe stay there the night. The road from Mount Isa passes through what I imagine to be the Paroo Range, because none of the maps are marked. The countryside is rugged, and the people who first surveyed this road all those years ago were definitely men of steel. Remember, they didn't have the equipment that we have today. The old Mary Kathleen Mine townsite appeared on our northern side, and we decided to have a look. There are a heap of bitumen roads meandering around concrete slabs, which one assumes were the floors of the (tiny) houses .... probably single mens/womens quarters. You are welcome to free camp in there - no fires. Just a few kms down the road is a 24 hour rest area, exactly halfway between towns (60kms each way). Toilets and all at that one. But we were aiming for Corella Dam, and when we got here, there was bird life on the dam, but the water level is abysmally low. Annette was ready for a break, her neck giving her strife, and it seemed like a perfect opportunity to set up camp, and get into some editing whilst the lady had a nap. We have signal with an antenna for the net, and barely with the phones. Tomorrow is Cloncurry and hopefully our girl will be back to her sparkling self. Happy Dad's day to all the dads. We hope you had a great day. DAY 82 2.9.13 I took the camera up to have a look at the lake. It is in poor shape after what we saw in 2010. There were a few pelicans and the like around, but when the water is low and the quality poor, you don’t expect much. We got away about 10-ish, and continued our journey through the rugged country to Cloncurry. Chinamans Creek Recreation Area is a couple of kms before the town, and we turned in to have a look. There is a hill called Black Mountain (or Hill) which is the centrepiece of the lake. Unfortuately, again, the lake was down a good 3 metres on where is was 3 years ago. They really do need a very good season out there. We got talking to a local guy who turned with his two dogs. He has been in the area for 30 years, and as we talked of different things we had seen, we talked about people starting from nothing, and truckdrivers entered the conversation. And Toots Holzheimer’s name came up. It turns out that Colin Duck (our local informant) knew her from schooldays. Her story is an enthralling one, and should be read by anyone who has an interest in Australian Characters. We left the lake and headed into town, calling into the bakery just a tourist bus unloaded outside the store. We ate, and then took a trip out to the hospital where Annette dropped some flowers off as a personal thank you to the hospital for services rendered during a family tragedy in 2006, before heading back to the John Flynn Centre. Rev Flynn was the founder of the Royal Flying Doctor Service, and The School Of The Air. The centre has memorabilia from his early days, and is also a gallery for local artists. Finally, we left town, calling into Quamby as we passed through. It is now deserted, the owners having made a couple of attempts to keep it profitable, seemingly unsuccessfully. The first rest area loomed, equipped with toilets and dump point, plenty of picnic shade, and not a lot of area to camp, but most of it taken. The roadhouse is like Barkly, well set out, bright airey and welcoming .... except the sign on the toilet doors asking you to “keep the doors closed as brown snakes like to visit often”. I’m not saying it put the wind up me, but I did do a check of all the stalls before settling down for a thinking session. We had lunch, and then continued on to Bang Bang rest area, where there is plenty of room, as well as toilets, dump point .... all the essentials. We found ourselves a spot well away from everyone else, and settled down for an afternoon snooze. DAY 84 4.9.13 I reckon that we saw close on 100 Brolgas in the first hour after leaving our overnight stop at Bang Bang. I was amazed at the numbers, and they were close to the road. About 50 kms from B&W Roadhouse, the road starts to vary from dual lane to single lane, as the authorities are appearing to be slowly changing the road from a Development Road to a main road. There are plenty of metal dumps along the road that can be used for overnight camping. Already, Queensland seems to be more in touch with tourism than their counterparts in the Northern Territory. Mind you, I may change my mind as I look back over my NT footage, but I seem to recall rest stops with no Loos and no dump points. What is evident, is the lack of moisture. The paddocks are dry and dust is prevalent. Normanton, and we headed straight for the river free camp area. We found about the only tree in the area, dropped the “Hotel”, and then headed back into town to get a permit to stay there. We overheard the girl at the Information centre advising another camper not to leave their dog locked up outside overnight, because it might not be there in the morning. It seems that a 21’ croc has been seen loitering in the area. Chis, the statue of the biggest croc ever shot in Australia (28’) is undergoing renovations, and the red tape fencing sort of ruins the photo opportunity. It was lunch time, and so the Albion Hotel was our pub of choice for a Barra Burger, and again, we were not disappointed. The Gulflander went to Croyden today, and comes back tomorrow..... But I have footage from last trip in 2010 ..... We did have a good look around town, and I think that tomorrow will see us heading to Karumba for a day or two. DAY 85 5.9.13 Wow, there are literally hundreds of Brolgas along the roadside at the waterholes on the way to Karumba. Annette wanted to see them dancing, and so we stopped, set up the camera, and watched for about 15-20 minutes, and eventually, a performer emerged. They are a graceful bird, and I guess the numbers close to the road indicate the feed and water opportunity, because it is certainlt drought country up here at the moment. We pulled into Karumba, and the season is definitely over. The caravan parks have plenty of room, and there are only a dozen or so boat trailers and their tugs parked in the street, as opposed to many more than ten times that amount three years ago in June. It appears that the prawn export works have closed, and that the caravan parks are now distributing prawns (@ $17 kg) to the public. We spent some time running around the metropolis of Karumba - at best described as a holiday/fishing village ala Mandurah and Rockingham in the 50s and 60s. It’s small, with a population in the 2006 census of 518, but bursts at the seams as the tourist season kicks in. From Wikipedia ......... “The town is sited at the mouth of the Norman River, and enjoys the distinction of being the only town along the southern Gulf of Carpentaria that is within sight of the Gulf itself (the Gulf's extensive tidal flats prohibits settlement elsewhere along its shore). As such, the town's economy revolves largely around fishing. The Karumba port services the Century Zinc Mine as well as fishing. The prawn industry expanded in the 1960s. The rare Morning Glory cloud rolls through Karumba in the early hours of some mornings in September and October. In the late 1930s the town was a refueling and maintenance stop for the flying boats of the Qantas Empire Airways. ........ and we had a drink in said bar this afternoon. We had booked a fishing trip. I am not a fisherman, as you are probably well aware by now, but Annette was keen, and I took the camera to record the mornings events. We headed out into the Gulf, and were amazed to learn that the depth of the water was only about 2 metres, and was a very gradual increase in depth as you went further out ..... and we were about 3 kms from shore. Annette caught the first fish, a reef shark, which was returned to the depths. Mick was next, then Patty, and then Mick had a small run, including a beautiful big fish. It appears that we were catching Blue Finned Salmon. Patty caught a couple more, and Annette just enjoyed herself urging the others on, as for some reason, the bites just weren’t coming. Robert, the charter operator was using the rod assigned to me, and was pulling in a few as well. I was happy filming the action, and the footage is being uploaded to YouTube. We arrived back at the jetty about 12.30pm, and we chose to take just three of the catch, returned to the caravan park, and filleted the fish. Annette spent the afternoon reading, and I headed out to film what there is of this small town. It appears that once the season dies (about early October) there is a general exodus, and the town shuts down. I also discovered that the prawn distribution works are still operational, but the family that owns the business (from Adelaide), decided to shut down their retail outlet, and two of the caravan parks now retail for them. We have a couple of Brolgas wandering around our park, and are unfazed by humanoids, and there are heaps of wallabies all around town. A couple of jabiru were having a fish in the ocean this afternoon, as well as the usual pelicans and the like. And the weather has been beautiful. DAY 87 7.9.13 I had reviewed my video from yesterday, taken thru the windscreen as we did a quick trip around Karumba - well, the town isn’t big enough to do a slow trip ..... even a slow trip is quick ..... and found that the footage was unusable, because parrots had crapped on the windscreen where the camera was focused and I hadn’t noticed .... duh. And so, we packed up the hotel, and did another lap of the areas affected, refilmed them, and said our goodbyes to this gorgeous little hamlet on the gulf. Normanton arrived, I grabbed some footage of the now returned Gulflander at the station, we refuelled, grabbed a bite to eat, and hit the road. We sailed past a sign pointing at the Leichhardt Lagoon Camp Ground, and so did a U-Turn, and headed back to have a look. The camp ground is situated on a lagoon, and during the season, caters for 75-100 campers per night - some staying for the season. Saturday night is dinner night at the old Glenore Homestead - 3 course meal, $5 per head, take your own plates and cutlery. There is a list of birds you can find there, as long as your arm. OK, so I haven’t counted how many there are on the list ..... but there are 2 columns of a A4 Sheet in smallish writing. Onwards, and we started looking for somewhere to squat for the night, spied a lovely little spot just of the road and out of sight of the road, set up the dish, and settled down to watch the important goings on in this land of OZ. I was so pleased when Collingwood got done. Oh yes, there was an election, wasn’t there. If Labor learn nothing else from Tony Abbott, they should take note of how he united the party after the initial jostlings for leadership early in his tenure. As for the future - If you didn’t like his stance on certain areas of concern, you knew before the election what they were. He didn’t promise the world as was done elsewhere. The next three years will tell the story. DAY 88 8.9.13 Yep, we woke up, the sun was shining ...... the election result has changed nothing out here, life goes on. We were slow getting moving, but were still on the road by 9.55 am. Croyden was our first port of call, and “Australia’s Oldest Store” was our first stopping point. The shop was founded in 1894, and I don’t know about oldest - maybe oldest surviving, but who’s going to argue. The place has character, and if wasn’t for the fridges, you would swear that you had gone back in time. Then out to Lake Belmore. It was opened in 1995, and had it’s first spillway flow in 1998. After the low water levels back at Corella and Cloncurry, I was pleasantly surprised at the amount of water in the Lake. The area has well maintained lawn and a lovely picnic area. It’s well worth a visit. The nasty neck had reared it’s ugly head again for Annette, and it being earlyish on a Sunday, the town’s main attractions were closed, and so we headed out of town, and Annette settled back to try and sleep the neck problem away. The Chamberlain Chimney Rest Area is a few kms west of Georgetown, and is on a property surrounding a lily lagoon. The water again was down due to the last wet season not delivering, but a few vans were taking advantage of the relative peace and quiet when we got there. Georgetown loomed, and again, the town was asleep, and so lunch, and then a visit to the Terrestrial Centre where the Ted Elliott Mineral Collection is housed. It seems the said Ted Elliot spent a lifetime gathering the collection, which was eventually purchased by the Etheridge Council, and housed in this beautiful setting for posterity. It costs a gold coin donation to view this amazing collection. We found ourselves a nice little spot just off the road not too far out of Georgetown, set up the dish, I watched the end of the Richmond-Carlton game, Annette watched the black cockatoos, before we settled down for dinner. I have a NASCAR replay to watch tonight, and the lady will no doubt bury herself in her book. And it was this week in 2006, when we lost two of our icons. Steve Irwin and Peter Brock both passed within days of each other, both in completely unexpected incidents. Their legacies will live on. DAY 89 9.9.13 We found ourselves on the road again by 9.50am. Mount Surprise was our next target. The road conditions changed from dual lane to single lane, there were roadworks, and we spent a fair bit of our time sitting off the bitumen inviting oncoming traffic to stay on the tar, hopefully so that we wouldn’t get showered with rocks. We supported the local cafe with lunch, found out that there were two tours on at Undarra Lava Tubes at 1pm and 3.30pm. We didn’t have enough time to get there in time for the 1pm tour, but we thought we’d have a crack. The fuel gauge dropped like a stone as we sat on 90 odd (we usually sit on 70-80 kph), and as we pulled up outside the reception at 12.50pm, Annette dived in to get us on the tour whilst I parked the car and van. It helps when you have been here before, because the tracks go everywhere. We made it to the tour bus right on 1pm. We left Undarra, reached the Kennedy Hwy, and then an open metal dump on the side of the road looked perfect for us to stop for the night. Yet another good day. Tomorrow, we approach the Atherton Tableland. DAY 90 10.9.13 8.55am, and we are on the road - unbelievable - that is before Annette’s usual rising time. It was a bit chilly last night, as we approach the Tablelands and start to climb in altitude. We arrived at Mount Garnett in reasonable time, despite all the roadworks, and then stopped at Innot Thermal Springs. I have been here before, but never got out of the car. And so we parked up, and took a walk down into the park where the spring emerges from the hill. The steam indicated that the water was warmer than the air, but it wasn’t until we stuck a finger in that we realised just how hot. It seems that the temperature has been registered at 71C some years ago, and it obviously cools as the water flows downstream, because you sure as hell couldn’t bathe in it at that temperature. We travelled on, and arrived at Millstream Falls. The path is steep, and is paved, and would be great fun to go down in a wheelchair. I reckon you would hit close on 200 kph, and if the bends were banked ...... WOW. Mind you, there is nothing to stop you at the end except the viewing platform, and it could create a few sliced clones of you if you hit it at speed. I digress. 340m they say it is, and it is an easy walk DOWN. The falls are beautiful - the river taking a right angle and tumbling down into a pool which is not accessible to the public. And now, the walk back UP ....... a wheelchair would need to be motorised with a V8 motor I feel to achieve the climb. And that 340m feels more like a couple of kms going back up. Was it worth it ..... Oh yeah. I’ve been here before, knew what to expect, and I was happy to do it again, and I am not big on exercise. Finally, on to Ravenshoe. I had run out of part of my medication, and needed to get a script, which meant I needed to consult a doctor. Doctors visit the town twice a week, and appointments need to be made, however, I was squeezed in, altho I had to wait a little over 2 hours for the consultation. That was no problem, as I needed the medication. Then, all the EFTPOS lines were down in the town, and so it looks like tomorrow for the chemist. Meanwhile, Annette was grabbing some tips from an art teacher at an exhibition in town, as well as doing a bit of personal shopping in the local craft shops. It was now approaching 4pm, and we decided to book into the Ravenshoe Rail Van Park. $15 powered sight - beautiful. We may have a good look around here tomorrow, and stay another night. DAY 91 11.9.13 Oh, how different could this bit of heaven be to the dry, dusty, drought stricken areas we’ve just emerged from. We decided to leave the van parked up, and go and explore the country around Ravenshoe. It bills itself as the highest town in Queensland at 920m. It seems that there has been around 100mm of rain in the last week, and the country is oh, so green. And the rolling hills, valleys, dips, and changes from open (cleared) country to rain forest as you drive the narrow (bitumenised) scenic trails just blows you away. I have been really looking forward to this part of the trip. I got a taste of the Tablelands in 2010, and was keen to explore more. We took the scenic trail to Millaa Millaa (Have to find out how to pronounce that). It was just gorgeous. I will have to drag some pics from the video tonight. And then we did the waterfall loop. We saw 5 falls yesterday in about a 20km radius of each other, falls that I hadn’t seen before. We saw 1100m on the altimeter before we finally wound our way back to Ravenshoe, where the lady hit the sack, and I just mucked about on the computer until bedtime. We had walked not a long way, but there were a couple of steep climbs to be negotiated, and we survived. Ravenshoe is an old timber town, and still holds on to it’s old steam engine, which does the run each Sunday. It’s a pity we won’t be here to have a look at that, but I can take some footage of the old steamer as it sits in its shed not 30m from where the “Hotel” is parked up. The Railway and the park is run by volunteers, and the money you pay for your powered site (currently $15) goes back into maintaining this piece of heritage. For the art lovers, there is the “Art Shed”, where locals gather to draw, paint, or learn how to. DAY 92 12.9.13 We decided to move from Ravenshoe to Atherton, via Herberton. We found the road out of town, and began the run through changing forest and cleared country, all the time climbing to around 1100 metres. Then in a hilly winding bit, I missed the turn, and you don't get a chance to turn around, not with 10m of trailer hanging off the back, and so we figured we didn't want to go to Herberton, anyway. Then the Mt Hypipamee NP turnoff loomed, and we grabbed it. Dinner Falls and The Crater live in here, and we headed for the latter. I wasn't aware until this point that Annette wasn't feeling the best, and having had our share of waterfalls yesterday, decided that The Crater would be all that we would look at. The paths have been sealed - Parks and Gardens have done a great job over here at the major tourist attractions, so far at least. And then we got to our destination, only to find a busload of backpackers crowding the viewing platform. The leader was oblivious to anything else around him as he and (some of) the group discussed geneology, which I'm sure had nothing to do with the bloody great hole in the ground that we wanted to look at. I had taken the big camera in, and so after waiting patiently for about 3-4 minutes, I decided to just work my way thru the multitudes and start filming - nothing changed. I worked my way around and actually brushed against him as i took a couple of shots from that end of the platform, whilst also commentating some sort of rubbish to the camera ..... nope. Just kept up his banter trying to impress the girls we think. And so we gave up and headed back to the car. I sometimes wish that I was the vindictive type that would let down one of the tyres on his bus, but sadly, I'm not. I then decided to hold him up if he came up behind me on the road - sadly he didn't .... LOL. The jungle country suddenly changed to cleared farm land, and as we descended, the country began to flatten out, and we were in Atherton. We grabbed a delicious Omelette at The Coffee Club, before deciding that we would camp at the Rocky Creek Legends camp ground. Now I knew from experience that the ground is not flat there, and that there are not a lot of trees, and when we got there, yep, all the good spots were taken. We gave it a few minutes thought, and figured that the Tableland is condensed enough, that if we hit the rodeo ground in Mareeba, that we could do day trips very easily from there. We were surprised at the number of vans already camped there, as the season is all but over. But Mareeba is a junction between Cape York, Cairns and the Western part of Queensland. And I suspect that a number are probably season campers. We booked in, set up shop, and Annette hit the sack to try and get rid of this nagging tiredness which she seems to have suffered the past week or so, and I sat and mucked around with the computer. I should have had a sleep also, as I am also starting to feel the effects of the grind of the past 3 months. And what time did I get to bed ..... yep, midnight ....... I hope the photos were worth the effort. DAY 93 13.9.13 As mentioned in my last post, we have decided to take a break and base ourselves here in Mareeba for probably the next week at least. It is the centre of the Universe up here - everything is within 60 kms of the place, including Cairns. What is noticible, is that after the greenery of Ravenshoe and Atherton, the land not only flattened out down here, but it seems that the rain bypasses the place as well. As a result, it is really quite dry around here. We are encouraged to move our grey water waste hose around to water the ground. And when we wandered outside this morning, a good percentage of the vans that were here last night had gone. We have a problem with our washing machine, and if we can't get it fixed, it means lots of dollars in laundromats. And so we have been looking for a bin with a screw on lid, that we can use as a mobile gentle wash type machine whilst travelling. And today, we struck gold, and picked one up at a local hardware store. Apparently you put a small amount of wool wash in water, chuck in the clothes, and as you drive, the movement washes the clothes. By using wool wash, you don't have to rinse the washing afterwards. We'll see what happens when we get moving again. We called into the local information centre, which also houses a great little museum. We had to skedaddle, because we had clothes in the laundromat, but we will be back to check that out. The rest of the day was spent veging. I sat down to redesign my sign writing on the van, and took it to the local sign writer, who had taken the afternoon off to go food shopping...... That's ok, I'll go back on Monday. By co-incidence, I had the old signs done here in Mareeba in 2010, but since then, I have changed the name of the business, designed and marketed a logo (which is on the car), but feel that I have wasted a huge opportunity to capitilize on that by not having my "Hotel" carrying the "new" logo during this trip, as I have had people remark that they had seen the logo somewhere .... was it on TV? No, but they were Exploroz.com watchers. DAY 94 14.9.13 Amazing, we were out of bed bright and early, grabbed a coffee, and we were on the road by just after 7am. The markets were well set up and rocking when we got there. Plenty of fruit and veg on sale from local vendors, and amazing also the variance in pricing. The stall that grabbed our attention was a young lady selling stone washed rocks with mosaic patterns attached to them. They were stunning. It seems that she has to have a licence to collect the rocks from a specific area, and she gets them from a creek (or river) by the trailer load when she needs them. I ran a stall here in 2010, and I am sure that the market wasn’t as extensive then as it was this time. We wandered back home, and I settled down to watch the days happenings at Sandown, and Annette read her book. Late in the afternoon, the lady decided to go and have a play on the pokies. Now in WA, the only place you can play these things is at the casino, as our government has wisely restricted and avoided the spread of these things in our community, and so it is a novelty to go and have a bit of fun when travelling. Annette went in with her usual $20 , and didn’t return until some 2 or 3 hours later, and counted $56 onto the bed. (Not a bad return at one cent a game). Dinner, and then keep an eye on the footy - well done Swannies - and the cricket, whilst continuing to edit footage taken so far. A nothing day really ..... quite relaxing. DAY 95 15.9.13 Time flies when you’re having fun, doesn’t it? We decided to have a look at some of the local attractions today - a distillery, some Coffee places, and wineries. The Mt Uncle Distillery is the first only “Still” in North Queensland, and after Kununurra, we were expecting more fireworks. Instead, the rums were quite smooth and mild. These are made from Bananas and sugar cane. Apparently, excise on spirits is $20 per bottle, where that isn’t imposed on the wineries. Interesting. And so the pricing is quite steep (to this occasional and not very often drinker, anyway.) As with most bigger private companies of this sort, they have a very nice function/cafe area set up as well. The tasting area is just a part of the overall plan. The property is very neat, and was a pleasure to visit. By now, we had abandoned the idea of visiting more coffee/wine making establishments, and so we decided to visit the Beck Military Museum. I had missed it last time, and it only opens on weekends, or by appointment, which seemed strange to me. However, Mr and Mrs Beck are at a very advanced age, and need to visit specialists and the like during the week. The museum has been in existence in earnest, since 1964. Mr Beck was an avid collector, and finally needed somewhere to display his collection ..... and the collection did a topsy, and “growed”. What an amazing collection it. The Air Museum in Darwin would love to have some of his collection of aircraft, I am sure. There are Tanks, jeeps, Blitzes, guns, engines, landing gear, motor bikes ....... the list goes on. The hangar comes originally from Townsville, and the trusses are wooden, not metal as you would expect. Every part was numbered when dismantling to ease the rebuilding phase. This is an amazing museum, and must be seen if military and aviation history is your thing. Finally, we had some time up our sleeves, the video was hopefully recording the days happenings at Sandown, and so we decided to take a run out to Kuranda to suss the place out for a more serious visit later in the week. We got there as everything was closing up, but it was an enjoyable end to what had been a fun day. DAY 96 17.9.13 When we pulled into Mareeba, we decided to stop and take stock of things and recuperate. The pace has been rather hectic, despite it being the least frantic trip that I have done. Before we left, we knew that Annette may have some issues to resolve back home, and it was a matter of whether they could be resolved from afar, or whether she had to go back home to deal with them. The answer became very clear this evening after a phone call, that she really had no alternative other than to return home. After working out the best way to do this, she jumped on the phone, and will leave Cairns next Wednesday for the long haul back to Albany. Meanwhile, we have done what we set out to do, and we still had no firm plans for the trip back to WA, it being Annette’s call as to which way and where she wanted to go. As a result, I will tootle back home still maintaining my budget for the trip, and who knows, by the time I get back, we may have a DVD ready to go to print. I am not looking forward to not having this lovely lady beside me for the next 2-3 months. Today was the beginning of another week, and I ducked into town to organise the new advertising stuff for the van, and to book into Toyota to have the timing chain replaced. They can’t do it until Monday, but the price is right, and it is only 1000km from needing to be done anyway. Then back to the “hotel” to give her a bit of a clean, and the car got a bit of special treatment as well. Then a bit of a look at the Nascar scenario, and time for a sleep. And then tonight, that phone call, that determined that all is about to change. DAY 97 18.9.13 Despite the decision last night, we both slept well. We have a lot of touring to pack into the next few days, but first we had to deal with important factors. The battery had died in Annette’s watch, we had run out of bananas, and there were one or two other food items that needed to be replenished. And so a trip into town to find a jeweller was undertaken, and we just happened to find them right next to Coles...... sweet. We decided to call into the cemetery on the way home, and inspect the amazing number of crypts and raised gravesites or Alter Tombs I think they are called, Mareeba obviously has or had a high number of italian families, and many of the raised graves were installed in the nineties. We noticed that there was activity behind the rodeo ground with dogs and cattle, and having filmed a bit of the Australian Cattle Dog Championships in 2010 (see our YouTube video under Qld), we were curious as to whether some sort of competition was about to take place. But, no such luck, it was a herding workshop. Meanwhile, the police were supervising a braking session with high school students on a skid pan at the front of the Rodeo Ground. It’s all happening here in Mareeba. Then it was time to start removing the advertising from the caravan .... wow that stuff sticks solid.... we found that the vinyl didn’t want to budge, so we grabbed a hair dryer, and by softening the vinyl with heat, the letters started to peel much more easily. The new advertising goes on on Monday. We have only a week before we put Annette on the plane, and so tomorrow, we go touring again ..... and the weather is about to change ....... rain is forecast, We’ve almost forgotten what that looks like. The great thing about walking uphill is that it is downhill on the way back, and when we got back to the carpark, Annette, being a water baby, availed herself of the lovely little stream running beside the camp ground and had a soak in the pool. We then made our way back to road that ran cross country to the Kennedy Hwy, and down to Tolga, where we stopped for lunch, before diverting to Lake Tinaroo. This is a man made lake, and is a wonderful recreation area. As you work around the lake, there are a number of camping areas that are beautiful. A sign at the beginning of the road tells you that the road is not suitable for caravans. I am beginning to think that caravanners can’t read, because there was a goodly number parked lakeside at each camp ground..... and that intrigued me. You have to pre book, and secure your camp spot - and the camp spots are numbered, but there were a number of vans parked right on the lake edge .... curious. Some areas allow generators, others don’t, and no dogs allowed. We had been perusing our maps, and were looking at a road that according to the map, you needed a permit to travel on. A local assured us that this wasn’t the case, and that the drive was quite interesting. However, there was another road inside that one, which we figured we might follow. It turned out to be a forestry track, the sign said we could use it, and it was a two wheel track. We hoped we wouldn’t meet anything coming the other way, and we headed on. we started at about 400m, and found ourselves steadily climbing, huge drops on one side, cliffs on the other, then across ridge tops and the drops were on the other side, and the altimeter was climbing. Some of the climbs got steeper, and we peaked at 1242 metres, before beginning the descent ...... and we didn’t meet any oncoming vehicles thank goodness. It could have been quite hairy. And then, we were out of the state forest, and on the road back into town. We had no idea what the day would bring when we left this morning, but wow, what a ripper. DAY 99 19.9.13 Tourist day again today. We headed down thru Atherton, and out towards Yungaburra. We called in and had a look at the Curtain Fig Tree - now that is an amazing phenomenon. Gotta be seen to be believed. Then Yungaburra. I fell in love with this place in 2010. Annette disappeared into a Gem Store while I was filming around the town. Then we had lunch at the Vienna Cafe, before doing a bit of a tour, and then striking out for Malanda. But before that, I just HAD to take Annette into Lake Barrine. This is a volcanic crater that has filled with water and has produced the most beautiful lake. Then Lake Eacham, which is another crater lake just a few kms away. Lake Barrine is mainly set up as a tourist destination complete with boat tours and restaurant, whereas Lake Eacham is a recreational area, and is used for swimming and picnic activities. Malanda arrived, we had a look at the Dairy Joint, filmed the Malanda Falls which are right beside the road just out of town, before arriving at the Gallo Dairyland Cheese Factory. We gave the factory a miss, but did sample the cheeses and chocolate before making our purchase. Oh, WHAT are we doing tomorrow? We have decided to leave the van here, and take a run up to Cooktown. We have booked a cabin up there, and will return on Saturday. While discussing about the return trip, it suddenly hit me that I haven’t done the Bloomfield Track, and so, THAT is the way we intend coming back to Mareeba. We are excited about what may eventuate over the next couple of days. DAY 100 20.9.13 The “ton” is up, and we celebrated by eating fish’n’chips at the Fisherman’s Wharf in Cooktown..... well, in truth, we’ve only JUST realised that it’s been 100 days since we left. but yep, we did have dinner sitting on a bench watching a fishing boat prepare to leave. As it turns out, the boat spent it’s first 6 years based in Albany .... co-incidence, huh? We woke up this morning to some weird noises, like the sound of someone washing his caravan with a high pressure hose - we should have realised that wasn’t the case, because the water is definitely NOT high pressure at the Rodeo Ground. So a bit later, I wandered outside, and a Balloon had landed across the way, and was being deflated. I later learnt that two of them had come down within minutes of each other - explained the noise. We left Mareeba at 8.45am and started the journey north. We stopped to have a look at Lighthouse Mountain, so called because of the appearance of what looks like a lighthouse perched on top, but when viewed through binoculars, is in fact a vertical Granite Rock. Palmer River Roadhouse is worth stopping at, just to look at the slate walls that the building is constructed from. It is something very different. Then a couple of runs thru the underbody wash at Lakelands Roadhouse. One particularly dirty car ran thru it about 8 or 9 times while we watched ....... some people are easily amused. Black Mountain was next, so called, because it is a hill made totally of black boulders, and the few trees that do grow are fig trees. “The main feature of the park is the mass of granite boulders, some the size of houses. Between the boulders and rocks is an absence of soil so that gaps penetrate inside the mountain. These rocks can become extremely hot. The drive up had been most enjoyable, as the road runs through some beautiful mountain type country. And so, on to Cooktown, and a visit to the Lighthouse Lookout. This has I believe been closed of recent times, as maintenance has been carried out. Today, it was open. And what a view - certainly, it rivals the Five Ways Lookout at Wyndham. Wonderful. Annette was again afflicted with a flaring neck problem, and so we found our caravan park, booked into our cabin, and slept for an hour or so. And then tonight, we chose to try the local fish’n’chips, and you already know where that was imbibed. Tomorrow is another day. We will have a bit more of a look around, then head for the Lions Den, before tackling the Bloomfield Track back to Mareeba. DAY 101 21.9.13 We arose early, and prepared ourselves to tackle the Bloomfield Track. I had no idea what to expect, but knew that what ever, it was going to be a fun and interesting day. We had a quick look at a few features around town, that we had missed yesterday, and then bade Cooktown goodbye, as we headed for Helenvale. We arrived at the Lions Den, and gave Annette the opportunity to have a look at the place. At 9.53 (I checked the video footage ) we pulled out and started our trek. I had checked the camera, had plenty of Disk Space, and so I hit record, and decided to film the whole trip, and chuck most of it away later LOL. Hang on a tick, the first few Kms were bitumen ...... they have been sealing the road for the local community. In fact, it was pretty much sealed to Rossville and much of the way to Lorna Doone - yep, they are place names. The road had some amazing rises and falls, steep and winding, and then you appeared to be through the hills, and then they were back again ... and so it went. The hills towering over you as you descended were awe inspiring - so tall, and yet we only rose to a height of about 350m .... but we were starting around sea level. And then we arrived at the delightful little hamlet of Ayton. There is an IGA Express and cafe, albeit in the same store, and about 50 kids attend the local store. The road is slowly being sealed from Cooktown as funds become available. We pulled into the boat ramp, and had morning tea as watched the river and spoke to one of the locals. Onwards, and the road winds around alongside the Bloomfield River to the causeway, which we were told is being replaced at sometime in the future by a bridge. We were now on the Bloomfield Road, and almost immediately, a first gear climb up a steep incline, a quick look at the river below us, and we were on our way. The road is the main road for the locals to Cairns, and so is kept in reasonable shape. The steep gradients require downshifts if momentum is not maintained, but you can't safely travel at any speed on this road because it is narrow, has blind curves and crests, and creates plenty of dust. There are a couple of spots where the road meets the ocean and rest areas allow you to stop and have a paddle in the water. The distance from Ayton to Cape Tribulation is only 31 kms, but it is slow going with safety. Many times you find yourself crossing ridges with steep drops on either side. And once you get to Cape Trib, it isn't over - the road from now is bitumen, but although double lane, twists and winds and climbs and drops, as the road is cut into side of a mountain. And then you are travelling past hidden entrances as driveways disappear almost vertically to private properties, and cafes, motels and the like hidden back in the forest as you drive through .... and then, you are at the ferry. You are herded on, pay your $13 if you are travelling only the one way, and a few minutes later, exit the ferry and you are in cane growing country. But it wasn't totally over, because after Mossman, we turned onto the road to Mount Molloy, and again, up and over the Great Dividing Range, again winding left and right and ever upwards until you hit the top and descend to the Peninsula Development Road, and half an hour later, we are back at our caravan at the Rodeo Ground in Mareeba. A wonderful day, and I don't remember that much of it, such was the concentration this old fella had put in, but I can now sit down and edit the video ....all 2 hrs and 43 minutes of it... and relive the journey. DAY 102 22.9.13 We had planned to go for a run somewhere, but decided to start getting things organised for Annette’s departure on Wednesday. The car goes in tomorrow for a new timing belt, and the new advertising is to be affixed to the van. And so, a relatively lazy day after the last couple. An excellent way for the lady to finish her trip- - a roast, and a win on the pokies. I have to say that the price was way under what I have paid in the past, the service was fantastic. If you are in the area (Mareeba or environs) get your Toyota looked after by these guys. Now, I was supposed to get the advertising affixed to the van this afternoon, but we were running out of time, and we are leaving the “hotel” here tomorrow, as I take Annette down to Cairns to have a look at the place. We are booked into a cabin overnight, as I have to have her at the airport to catch the 6 am flight on Wednesday Morning. So a quick call into the sign writer to arrange (yet again) to take the van in on Thursday morning as I leave this wonderful town yet again. Meanwhile, Annette has been sorting out what will be taken home, and what will be left in the van until I get back home .... whenever that may be. We had picked up a case at Vinnies, and that was bulging, the backback was packed, and we THINK she’s organised. Now, where’s the remote for the Brownlow? Despite that, we loaded Annette’s gear (that she is taking with her) into the Cruiser, and headed down to Cairns for the first time on this trip. We took a run into the airport to get a rough idea of our bearings - I mean who’s going to be awake at 5am to really have any idea. Then we cruised down to the Esplanade, had a bit of a wander around, into town for a big breakfast for lunch, and then to the Caravan Park to check into our cabin. They gave us a pin to get in through the gate - it didn’t work - but they let us in anyway, and we unloaded. Then we couldn’t get the A/C to work. New batteries in the remote, and even then a bit of jiggling to get it going. Annette read, I died. A couple of hours later, we headed out to find a chemist, and have a bit of a look around. Annette was interested in looking at the Marina, and so we went down, and I was pleased to see that the boys had delivered my boat intact, complete with helicopter ........ I wish. Then back to the car, and back to the Esplanade for dinner - pizzas at Rattle And Hum. It gets very busy on (This) Tuesday night, mainly tourists and the local young folk. Cairns is I think beginning to rely on the tourist trade, and when you look at places like Port Douglas, Kuranda and Coral Bay, it has certainly robbed them of their own particular charm ..... IMHO. DAY 105 25.9.13 Well, we approached the boom gate with trepidation, inputted the pin code, and..... it worked. We got to the airport at 4.45am, and still got lost trying to find our way into the airport drop off section. However, we got there, Annette booked in, and then she was thru the gate, and at 6.05, the plane took off. She has a big day ahead of her. And so I am back to flying solo, and have no idea which way I am going. All of my plans had been around showing Annette some of what I had already been privileged to witness. And with her call back home, I need to start studying the maps and see where I can cover new ground. Late yesterday we saw the 450,000 appear on the odometer of the old cruiser. What a wonderful bus this has been to me. We have done 300k since I bought her in late 2004, and we have been everywhere over all sorts of terrain, both towing and non towing. I turboed her at 290k, and she and the “hotel” appear to be good mates. Many years ago, I had a singer join our band in Katanning, her name was Helene Johnson, and I lost touch over the years. Then I did a search on Facebook, and found her - and she was living in Cairns. And so I picked up the phone, gave her a call, and spent an hour or so having a coffee and generally catching up after twenty odd years. I received a message, Annette had reached Sydney. I headed out to Barron River Falls ..... try dribbles ...... I think I have footage of it doing a bit more than that, so after running around, headed back towards Mareeba. Gee, I like this place, I don’t know why. Message - “have arrived in Perth - weather is fine” - I suspect in reply to my quip that it is beautiful over here, and has been rather ordinary in WA down south, although the rain is much needed, if only to fill the dams to supply our rapidly increasing population. The mining industry has a lot to answer for - prosperity, maybe - but has it forced the cost of living upwards. Ridiculous. 9.44pm and the lady has arrived in Albany. That would have been a long day. Tomorrow, the advertising goes back on the van. DAY 106 26.9.13 The start of week 16, 4 months since we left Perth. So much has happened, and so much seen, and so much to take in, and now without the “nagrivator”. I don’t know whether I mentioned the balloons landing in the Rodeo Ground the other morning. I had heard this sound like someone washing their van with a high pressure hose, and thought nothing more of it, until I went outside later to see them packing up a balloon. Well, was laying in bed this morning when I heard a whoosh, and being better educated, jumped out grabbed the camera, and outside in time to see the two balloons descending on our camp ground. This place is busier than Cairns airport early in the morning. I had been laying there contemplating my next move. Today, I take the van in to get advertising put on it, and then I was going to keep heading south. Then I thought, well where? And so I think I will stay here a few more days, get some serious editing done, watch the NASCAR stuff that’s on the DVR, and study the maps, and leave here with a new purpose. I am pleased with what the girls have done - I designed it on Photoshop, and they have reproduced it exactly as I wanted it. Thanks to Girles Sign Shop in Mareeba. I jumped on the computer this afternoon and got stuck into the editing process again. Deciding what to leave out is the big thing, and I am determined to get the pictures right before I start overdubbing, titling and setting the background music bed. I usually get it all done, and then decide to do some transitions, and that throws everything out again. So hopefully, I get it right this time. Time to watch to watch last weeks NASCAR race and generally chill out for a few days. Then it was back to the editing desk to trim and view the Queensland section of the trip. Wow, the Tablelands have done it for me. This area is beautiful, and has so much to keep you occupied and enthralled, and there are things I wanted to cover, but don't have the room, and anyway, you have to have something to discover for yourselves. I guess I'll revisit and play with the NT video tomorrow. DAY 108 28.9.13 Disjointed day today, some editing, some TV, watched the AFL Grand Final, ate too many potato chips and Shapes and cheese - (well you do that watching Football, don't you - in the absence of pies and chips and stuff?). Started by finding that the Auxilliary Battery in the car was fully charged, and figured that while I was about it, lets give the starter battery some juice as well. So much for politics .... I have a couple of shows on the DVR to watch tonight, and so sleep tight everyone. We'll see what tomorrow brings. DAY 109 29.9.13 Spent much of the day working on the Northern Territory Video, and at the end, was I happy ......... Nope....... I am thinking that I am going to have to take a totally different look at this to what I had planned, and I think it will be for the better. The day started out as daylight, and about 4ish, I thought, I'd better get down to Coles and stock up on one or three vital supplies. Got back home, and MOST of them fitted in the fridge - well the freezer for those items that need to be kept frozen. I also fed the Cruiser with a nice big tank full of diesel, and all is in readiness to take off tomorrow. I still don't know where exactly, but have decided that it will be south. Probably Charters Towers first major port of call, and then a toss up as to which way from there. But I've got a few days to think about that.